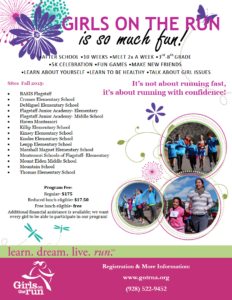 Applications for middle school students are still being accepted for “Girls on the Run,” an after school, 10-week program for youth 3rd through 8th grade. 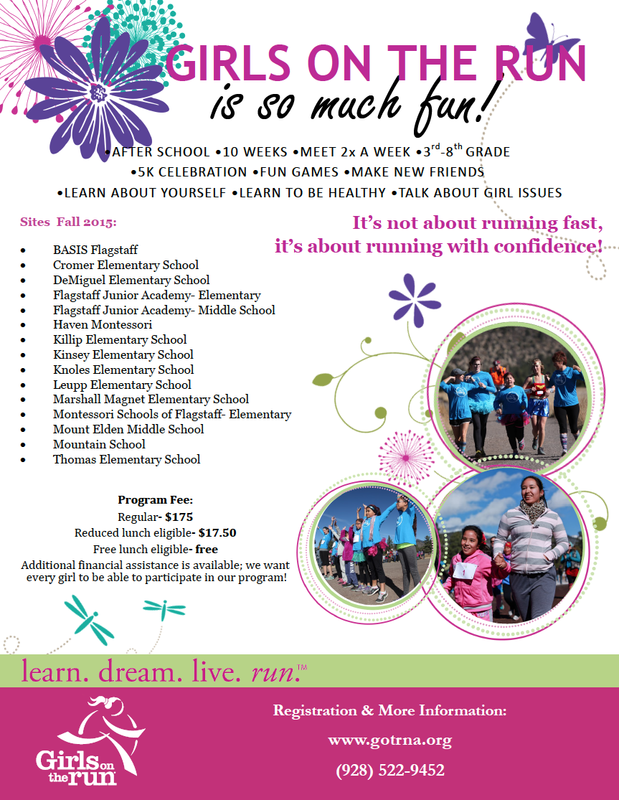 Meeting twice a week, the program offers participants a 5K celebration, fun games, the opportunity to make new friends and learn about themselves, learn to be healthy and talk about girl issues. Additional financial assistance is available; we want every girl to be able to participate in our program! Partners and sponsors include the Arizona Community Foundation of Flagstaff, Full Circle Trade & Thrift, North Country HealthCare, HARD Roller Derby, Phoenix Children’s Hospital Kohl’s FIT, Northern Arizona Orthodontics, Northern Arizona Orthopaedics, State Farm – Melissa Collins Cripps and Flagstaff YMCA. Go to http://www.gotrna.org for more information.